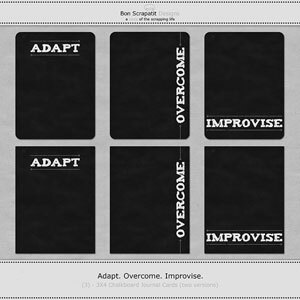 Bon Scrapatit Designs: WOW!!! Y'all RAWK ... and then SOME! WOW!!! Y'all RAWK ... and then SOME! I'd like to thank ALL of you who have stopped by to visit my BRAND new blog and have left such WONDERFUL lovin'!!! I am SO thrilled to be here and to be able to share my LOVE and PASSION for digital scrapbooking and design with others who feel the same! Isn't it FUNNY how quickly the "fear of the unknown" disappears when whatever you have feared is NO longer unknown!!! I have dreaded this whole BLOG process for months as I am totally HTML illiterate and SO badly wanted to create my OWN header like everybody else!!! Well, one of my better attributes is DETERMINATION and if I have the will, I WILL find the way! I am one of those who LOVES to research (when I can find the time, of course!) and can lose myself for hours in going from one link to another until I find what I need! Need I mention that I can get sidetracked VERY easily? ROFL! I found a GREAT tutorial on creating your own header to fit the way you want it to and while I don't know HTML coding, I am a SHERLOCK of sorts and will figure out what needs to be put where or removed!!! Of course, I keep a notepad handy with any alterations I've made just in case I've made a BIG BOO-BOO!!! "HATS OFF" to Google and Blogger for TOTALLY upgrading the blogging experience and making it SO simple to set up for those of us that are (or were!) BLOG illiterate! I still have a lot to post here and will put some links to those things that have helped me pull this off without any MAJOR disasters!!! Night all ... sweet dreams and have a BEAUTIFUL tomorrow! 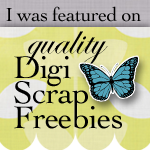 IT'S FABULOUS FREEBIE FRIDAY Y"ALL!!! All LIT up and NO place to GLOW!! !